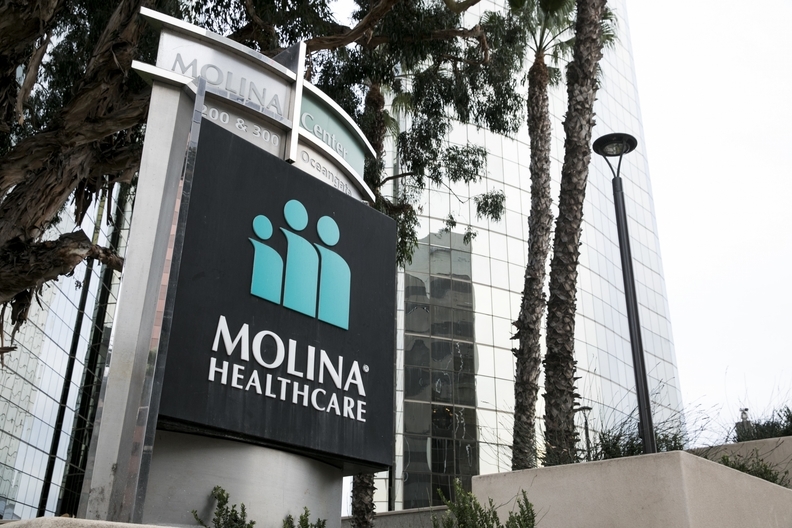 Molina Healthcare recorded another loss in the fourth quarter of 2017 as the insurer's corporate restructuring plan and unpaid federal cost-sharing reduction subsidies ate away at its bottom line. The Long Beach, Calif.-based insurer said late Monday that the federal government's decision to cut off CSR payments to insurers increased its fourth-quarter loss by $73 million. Molina said it intends to "pursue all available means to collect" those payments from HHS. A company spokeswoman declined to comment on whether the insurer would sue the federal government for those payments, as several other insurers have done. Molina incurred another $73 million charge related to restructuring costs in the three months ended Dec. 31. The company is in the midst of an overhaul to improve efficiency and cut millions in costs. Last year, Molina sold its California primary-care clinics to former CEO Dr. Mario Molina, and shut down its clinics outside of the state. It laid off 10% of its workforce, or about 1,500 staff members, and is also remediating high-cost provider contracts and building networks around cost-effective providers, the company has said. In the fourth quarter, Molina said it incurred $296 million in impairment losses at its Florida, Illinois and New Mexico health plans. In total, Molina's loss widened to $262 million during the quarter, compared with a loss of $47 million in the same period in 2016. For the full year, Molina recorded a loss of $512 million, compared with a profit of $52 million in 2016. "Our fourth-quarter results are emblematic of the significant transition Molina is undertaking," Molina President and CEO Joe Zubretsky said in a statement. "The disappointment of contract losses and related goodwill charges, continued restructuring costs and catch-up adjustments to unacceptable marketplace results are legacies of the past." Molina recently lost its Medicaid contract in New Mexico. And while the company serves about 360,000 Medicaid members in eight of 11 regions throughout Florida, Molina was selected to negotiate for a new managed-care contract effective in 2019 in only one of Florida's regions where it currently serves 59,000 members. Zubretsky said during a conference call early Tuesday that Molina will appeal the decisions in each state, but if unsuccessful, the contract losses "would have a significant negative impact to the company's revenue." Even so, Molina said its core operations, including Medicaid and Medicare plans, are improving, despite the fourth-quarter loss. The medical care ratio, or the amount per premiums spent on medical care and quality improvement activities, declined to 90.7% in the fourth quarter, compared with 91.7% in the fourth-quarter 2016. For the full year, Molina's medical care ratio was 90.6%, up slightly over 89.8% the prior year. Molina's revenue increased by 9.2% year over year to $4.9 billion in the fourth quarter. Full-year 2017 revenue totaled $19.9 billion, up 11.8%. Molina's membership totaled 4.5 million at the end of the year, an increase of 226,000 members over 2016. Zubretsky also mentioned during the conference call that Molina's membership through the Affordable Care Act individual marketplace fell from 815,000 at the end of 2017, to 450,000 now. The company expects enrollment to fall to 300,000 by the end of the year. Molina pulled out of exchanges in Utah and Wisconsin for 2018, while reducing its footprint in Washington. This year, it sells exchange plans in seven states, but increased rates by 55% on average in those plans. "Looking forward, the core business results showed improvement quarter over quarter, and we took steps to strengthen the quality of the balance sheet, all of which serve as a solid platform to achieve our margin recovery and sustainability plan we outlined for investors last month. Medical cost control, administrative cost discipline and capital strength remain at the fore of our plan," Zubretsky said.